The Village of Nyack has been trying to get permission to put a small bridge over the inlet that would connect Nyack Memorial Park to the Nyack Marina, The idea as far as I understand this would allow for the complete greening of Memorial park. All parking for visitors to the park would happen in the lot by the Nyack Marina. On June 9, 2016 Resolution No. 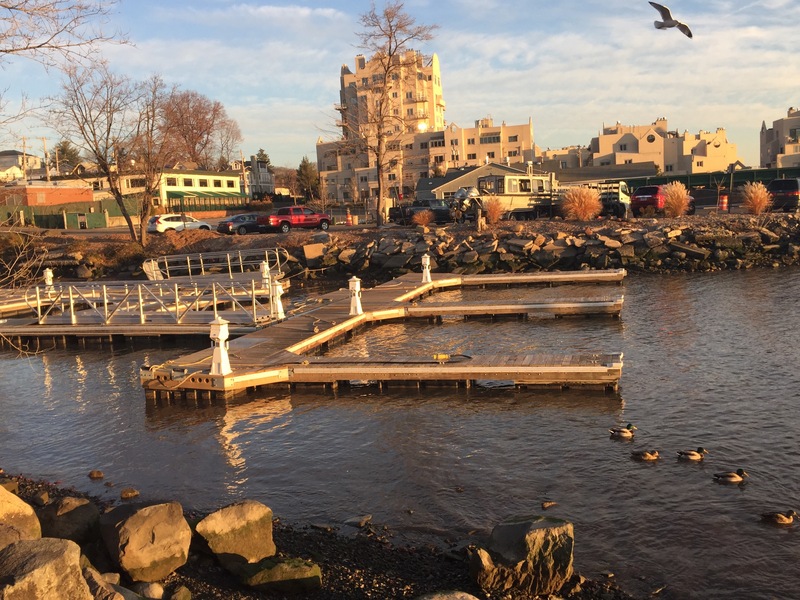 2016 – 43 of the Nyack Village Board approving the Mayor to execute an agreement with the NYS Thruway Authority for the Memorial Park Inlet Bridge Project was passed by the board. Walking the dog this morning I took this shot of the new bridge sitting in the inlet waiting to be installed.